Marvel muscle: It was a muscle weekend not just in the Vegas boxing ring, but at box offices everywhere as "Avengers: Age of Ultron"opened to a heavyweight $187.7 million at 4,276 theatres. Despite strong competition from the Mayweather-Pacquiao fight (including Saturday night viewing parties across the country), the NBA playoffs and the Kentucky Derby, "Ultron" goes into the record books as the second largest three-day opening in Hollywood history, according to Disney. That gives Marvel and Disney the all-time top three openings–with "The Avengers"($207.4 million in 2012) placing first and "Iron Man 3"($174.1 million in 2013) in third place. was 59 percent male and 41 percent female. In terms of age, it was 41 percent 25-and-under and 59 percent over 25. "Ultron"is a runaway worldwide boxoffice hit that has now grossed, according to Disney, "an estimated $627 million in 12 days of global release" with $439 million from international theatres and $187.7 million from domestic (U.S. and Canada) theatres. The film has opened in first place"in every market since beginning its international rollout on April 22," the studio noted. "It posted the biggest opening weekend of all time in Brazil, Hong Kong, and the Philippines as well as in new markets Mexico and Ecuador, and additionally marks Disney and Marvel’s biggest opening weekend in Russia and much of the Asia-Pacific region including Australia, New Zealand, India, South Korea, Taiwan, Malaysia, Singapore, and Thailand." "Ultron" is playing now in about 71 percent of the international marketplace. It opensMay 12 in China, the largest international territory, May 12 and debuts July 4 in Japan. The film's global cume to date of $627 million, Disney pointed out, "has already surpassed the lifetime cumes of 'Captain America'($371 million), 'Thor' ($449 million), 'Iron Man' ($583 million) and 'Iron Man 2' ($622 million)." "Ultron" launched the domestic pre-summer season in high style, just as Marvel brand movies have done for the past eight years. Cobie Smulders, Stellan Skarsgard, James Spader and Samuel L. Jackson. 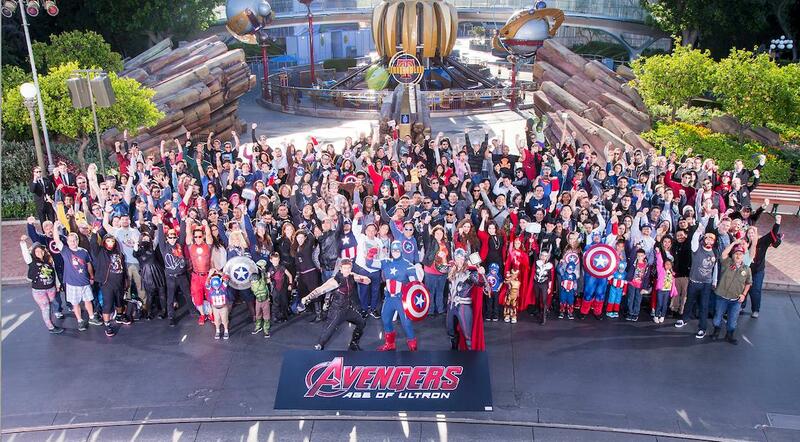 "The Avengers"(Marvel and Disney) opened May 4, 2012 to $207.4 million. 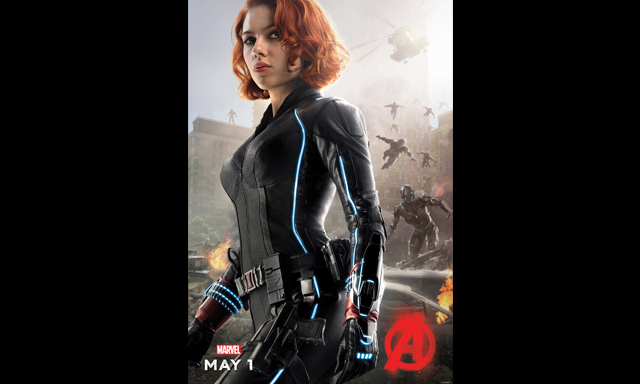 "Avengers: Age of Ultron" (Marvel and Disney) opened May 1, 2015 to $187.7 million. "Iron Man 3" (Marvel and Disney) opened May 3, 2013 to $174.1 million. "Spider-Man 3"(Marvel and Columbia) opened May 4, 2007 to $151.1 million. "Iron Man 2" (Marvel and Disney) opened May 7, 2010 to $128.1 million. "Spider-Man" (Marvel and Columbia) opened May 3, 2002 to $114.8 million. "Iron Man"(Marvel and Paramount) opened May 2, 2008 to $98.6 million. "The Amazing Spider-Man 2"(Marvel and Columbia) opened May 2, 2014 to $91.6 million. "X-Men 2 " (Marvel and 20th Century Fox) opened May 2, 2003 to $85.6 million. "X-Men Origins: Wolverine"(Marvel and 20th Century Fox) opened May 1, 2009 to $85.1 million. "Thor" (Marvel and Paramount) opened May 6, 2011 to $65.7 million. There's also another Marvel hit to note here, but it's not included above because instead of starting May it ended the month. "X-Men: The Last Stand" (Marvel and 20th Century Fox) opened May 26, 2006 to $102.8 million. 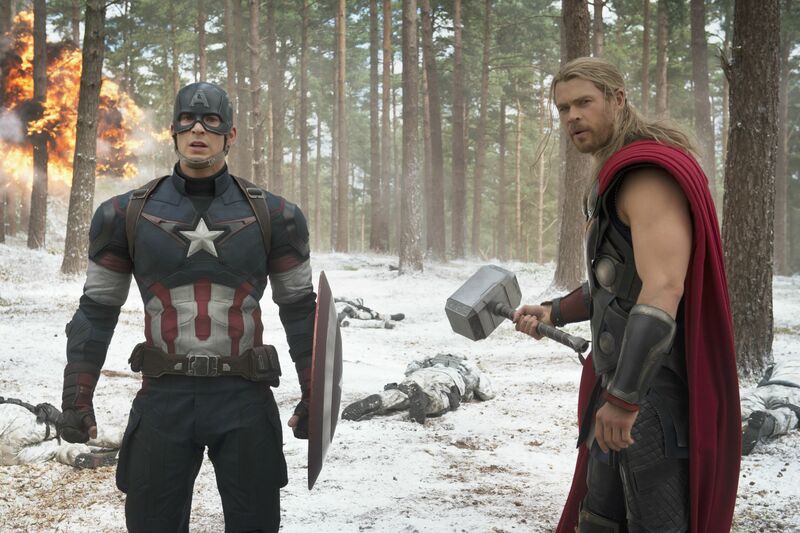 Looking ahead, "Avengers" fans have lots more to watch for. Back-to-back filming is to beginin late 2016 for the two part "Avengers: Infinity War"with Part One opening May 4, 2018 and Part Two opening May 3, 2019. They'll be directed by brothers Joe Russo & Anthony Russo, who directed "Captain America: The Winter Soldier." "Ant-Man"from Marvel and Disney opens this July 17. Directed by Peyton Reed ("The Break Up"), it stars Paul Rudd, Michael Douglas and Michael Pena. May 6, 2016. Directed by Joe Russo & Anthony Russo ("Avengers: Infinity War" parts One & Two), it stars Chris Evans, Robert Downey Jr. and Sebastian Stan. "Doctor Strange" from Marvel and Disney opens Nov. 4, 2016. Directed by Scott Derrickson ("Deliver Us From Evil"), it stars Benedict Cumberbatch and Chiwetel Ejiofor. May 5, 2017. Directed by James Gunn ("Guardians of the Galaxy"), it stars Vin Diesel and Bradley Cooper. July 28, 2017. No casting yet, but it will be directed by Drew Goddard ("The Cabin in the Woods"). "Thor: Ragnarok" from Marvel and Disney opens Nov. 3, 2017.No director yet, but Chris Hemsworth (Thor) and Tom Hiddleston (Loki) will star. "Black Panther" from Marvel and Disney opensJuly 6, 2018. No director yet, but Chadwick Boseman will star in the title role. "Captain Marvel" from Marvel and Disney opens Nov. 2, 2018. No director or cast yet, but the film's storyline revolves around the character Carol Danvers as Captain Marvel,making this Marvel's first female centered film. "Inhumans" from Marvel and Disney opens July 12, 2019.No director or cast yet, but the film's storyline revolves around a remote group of superhumansfighting to defend their world. Bottom line:Next weekend's boxofficewon't be as big as this one was, but "Ultron"should remain a strong number one. Itsonly new wide competition May 8 will be Warner Bros., New Line Cinema and MGM's PG-13 action comedy "Hot Pursuit,"opening at 2,700 theatres. Directed by Anne Fletcher ("The Proposal"), it stars Sofia Vergara, Reese Witherspoon and Michael Mosley. "Hot" is tracking best with women over 25 and is also scoring nicely and equally well with women under 25 and with men under and over 25.